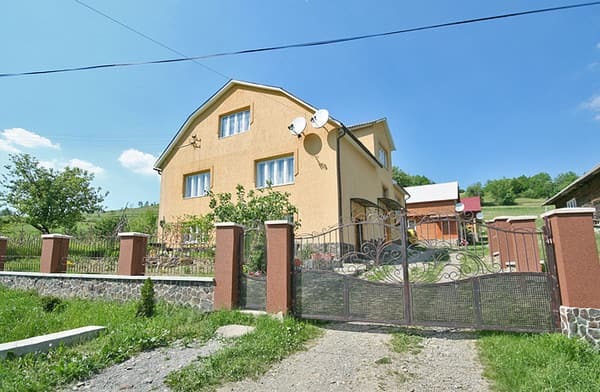 The private estate "U Kosa" is located in Piliptica, 3 km from the village center and 1.5 km from the ski lifts on Mount Magura. 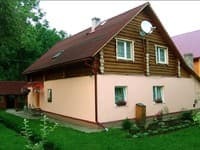 The estate consists of two cottages for 9 and 5 people. 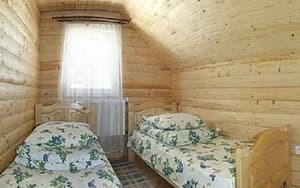 The first cottage has one four-bedded room with two sofa beds and a bathroom, and on the second floor there are two double rooms with a shared bathroom and a lounge with a table. 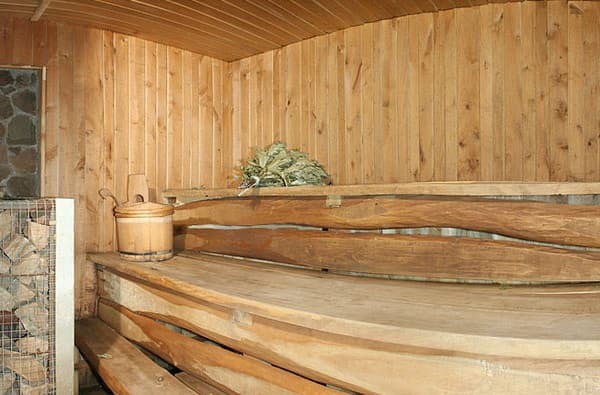 In the second cottage on the ground floor there is a sauna, separate bathroom, on the second floor with a separate entrance there are two double rooms with single beds, a bathroom and a hall. You can order food from the owner of the estate. In the courtyard of the manor "At the Spit" there are gazebo, BBQ, swings. If you want, you can use the transfer service, ski rental, excursions for extra payment. 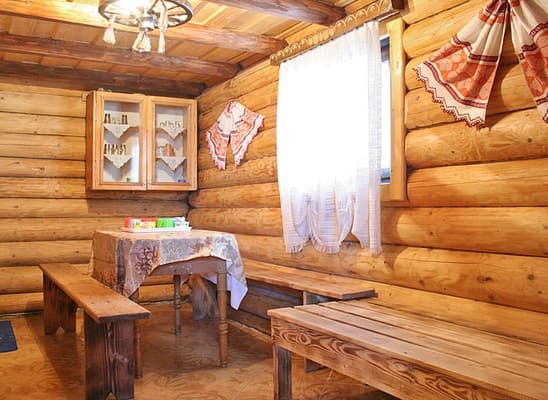 The distance to the waterfall "Shipot" - 2 km, to the city Mezhgorye - 24 km, to the city Ivano-Frankivsk - 148 km. Description of the room: Room with two single beds. Bathroom on the floor (one for two rooms). It is possible to provide additional seats. Description of the room: Quadruple room with two pull-out sofas. A bathroom in the room. It is possible to provide extra space on the folding chair. About the food specify at the time of booking. 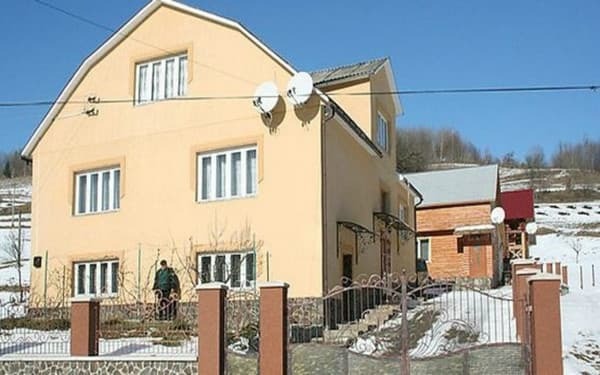 The private estate "U Kosa" is located in Piliptica. 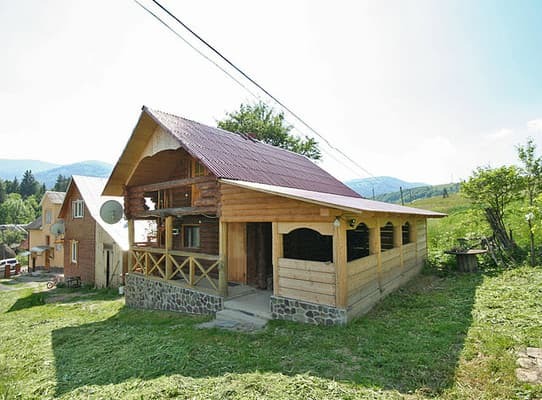 The distance to the center of the village is 3 km, to the ski resort "Pilipets" 1.5 km, to the waterfall "Shipot" - 2 km, Mezhgorye - 24 km, Ivano-Frankivsk - 148 km. 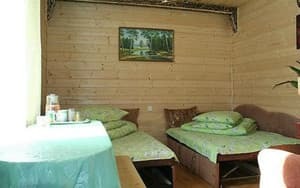 By train in Uzhgorod direction or by electric train "Lviv-Mukachevo" to Volovets station, then by bus or taxi to the village of Pilipets. Own car on the highway "Kiev-Lviv-Chop" (M-06).